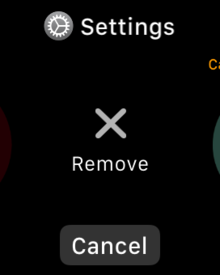 Here’s how you can quickly add, remove or move apps in the Dock in watchOS 3 for the Apple Watch. 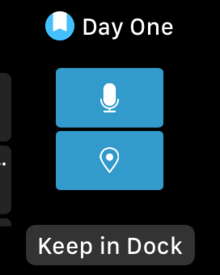 watchOS 3 has some great new features, and one of the best is the Dock. The Dock replaces the old Glances feature, and provides updated apps that you can easily access by pressing the side button on your Apple Watch. You can easily add, move or remove apps in the Dock in watchOS 3, and I’ll show you how in this tip. 1. 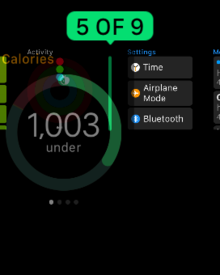 Open the app as you usually would on your Apple Watch. 2. Press the side button to open the Dock. 3. Swipe all the way to the right (you can use the Digital Crown to do this more quickly) until you see your app. 4. Tap on the Keep in Dock button, and your app will now be in the Dock. I’ve made sure that all of my most used apps are in the Dock. It makes it easier and faster to access them than going to the home screen with all its little app icons. It’s also very easy to remove apps from the Dock if you decide that you don’t want them there any more. 1. Press on the app and swipe up. 2. You’ll see a Remove button you can tap on, and if you change your mind you can tap on Cancel instead. It’s quite simple to move apps around in the Dock. 1. Long press on the app you want to move. 2. Slide it right or left, depending on where you want to put it. I’ve found that keeping my most frequently used apps at the beginning of the Dock makes the most sense to me. That way I can quickly access them without having to scroll to the right to tap on them. Apple has done a great job with the Dock in watchOS 3, it definitely moves the Apple Watch closer to iOS and macOS in terms of familiar functionality. And it certainly makes accessing your most used apps much faster and easier. Once you get used to using the Dock you’ll wonder how you lived without having it on your Apple Watch.